THE DISTRICT OF Columbia in the United States is suing Facebook for allowing data-mining firm Cambridge Analytica to improperly access data from as many as 87 million users. D.C. Attorney General Karl Racine’s suit alleges that Facebook misled users about the security of their data and failed to properly monitor third-party apps. In 2013, a researcher launched a Facebook app, promoted as a personality quiz, which claimed to generate a personality profile. The app also collected the personal information of users’ Facebook friends and the information was eventually sold to Cambridge Analytica, a political consulting firm. After the revelations about Cambridge Analytica, congressional hearings were held and Facebook changed what sorts of data it lets outside developers access. The information of more than 340,000 District of Columbia residents was exposed but only 860 downloaded the quiz, Racine said. Facebook has already produced “reams of documents” in response to the attorney general’s investigation, officials said. It was revealed this week that Facebook’s privacy controls had broken down yet again. In that case, a software flaw affected nearly 7 million users, leading to their photos being exposed to a much wider audience than they had intended. Officials at the attorney general’s office said they would consider adding additional allegations as more information is uncovered. Email “Washington D.C. sues Facebook over Cambridge Analytica scandal”. 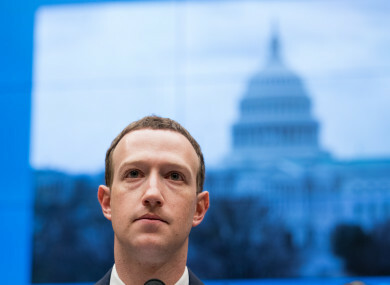 Feedback on “Washington D.C. sues Facebook over Cambridge Analytica scandal”.